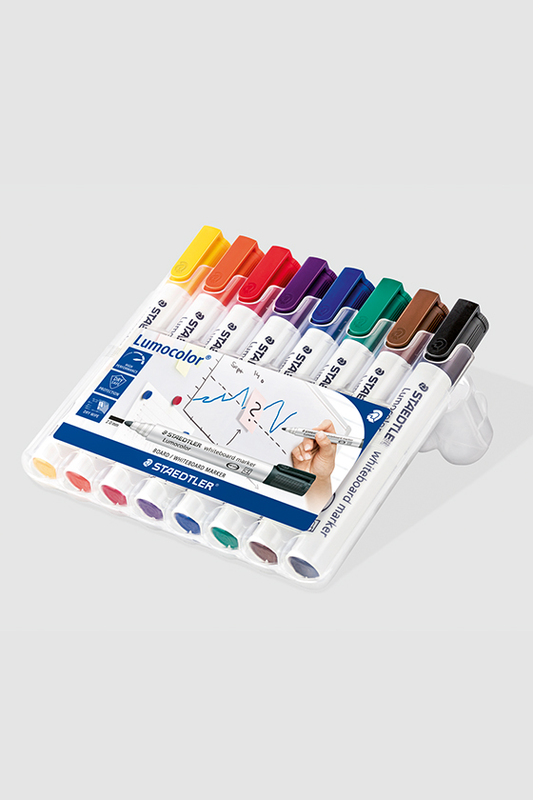 Draw sketches, write notes and wipe them off just as easily - all writings using the Lumocolor whiteboard markers from Staedtler can easily be wiped off any whiteboard using a microfiber cloth. They have a 2mm line width, dry fast and are odorless and refillable. The DRY SAFE system means that they can be left open for days without drying. The blocked tip keeps it from being pressed into the shank, even under very strong writing pressure. In addition, the Airplane Safe system keeps the pen from leaking on the aircraft through automatic pressure compensation. The shank and cap are made of PP, which guarantees you a long service life. 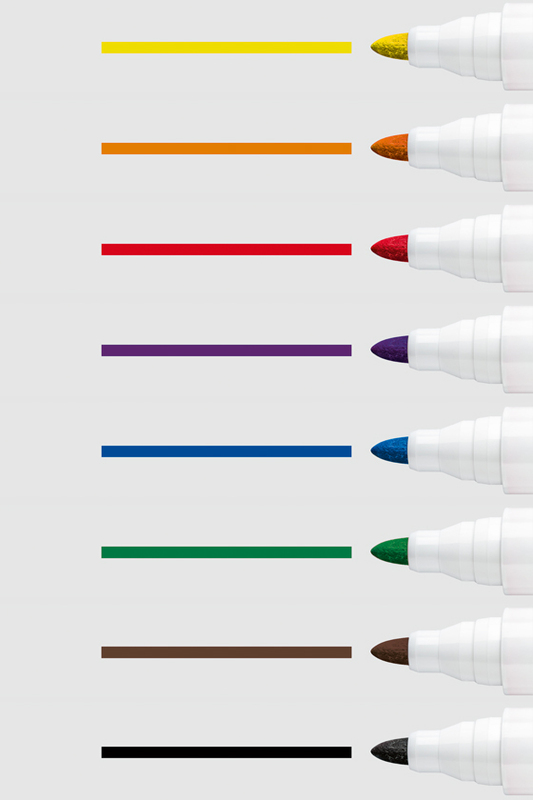 The whiteboard markers from Staedtler are available as single pieces in black or in the erectable box consisting of a standard 4-pc. set or colored 8-pc. set.